Boston, U.S.A., 2018-Sep-04 — /Travel PR News/ — One of Boston’s most beloved holiday traditions – the annual Teddy Bear Tea at the Bristol – returns to Four Seasons Hotel Boston for the 21st year. 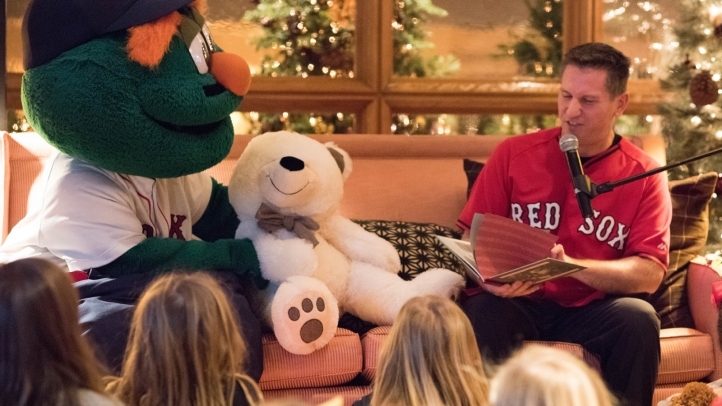 More than a holiday event, Teddy Bear Tea is a special community benefit initiative of Four Seasons Hotel Boston, teaching young guests the spirit of charity. Guests are invited to bring a teddy bear to donate at Teddy Bear Tea, with Four Seasons gifting all collected bears to local organisations that benefit children in need. Reservations open to the public on Saturday, September 1, 2018, at 9:00 am. Call Bristol Dining Reservations at +1 (617) 351 2037 to make a reservation. A special registration form will be emailed to guests requesting a reservation; the form must be completed within 48 hours of receipt and returned to Four Seasons Hotel Boston for reservations to be confirmed. Note that a completed registration form is required for all reservations; reservations made verbally or without a completed reservation form are not valid. Due to the extreme demand for this event series, a non-refundable table deposit of USD 125 is required at the time of reservation for parties of five or less. A non-refundable table deposit of USD 250 is required at the time of reservation for parties of six or more. Deposits are applied toward the final bill. This entry was posted in Festivals and Events, Holidays, Hotels, Luxury, Resorts, Travel, Travelers and tagged Bill Taylor, Boston, Bristol, Four Seasons Hotel, Teddy Bear Tea. Bookmark the permalink.